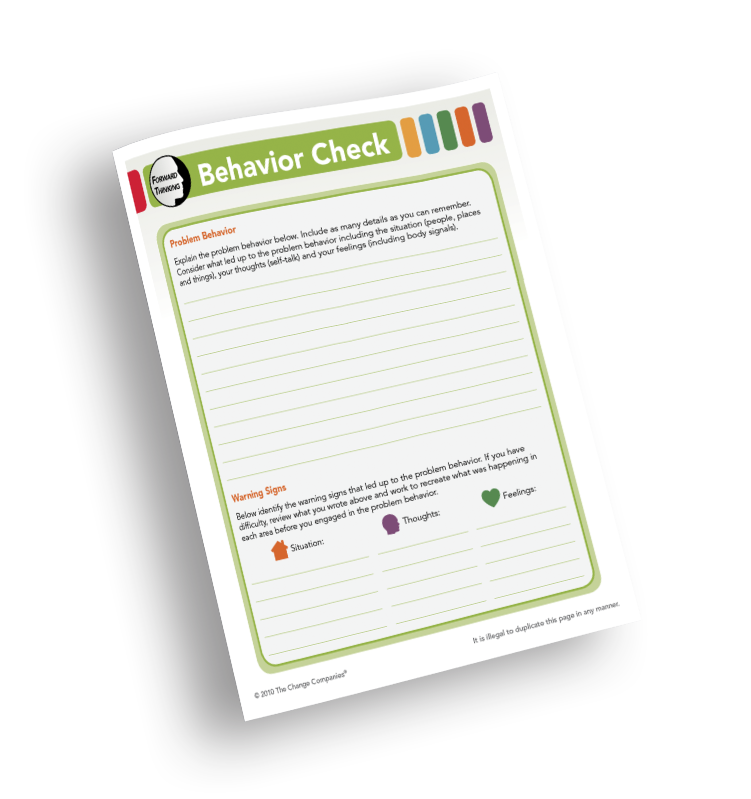 The Behavior Check is a change tool participants learn to use in the Responsible Behavior Interactive Journal. 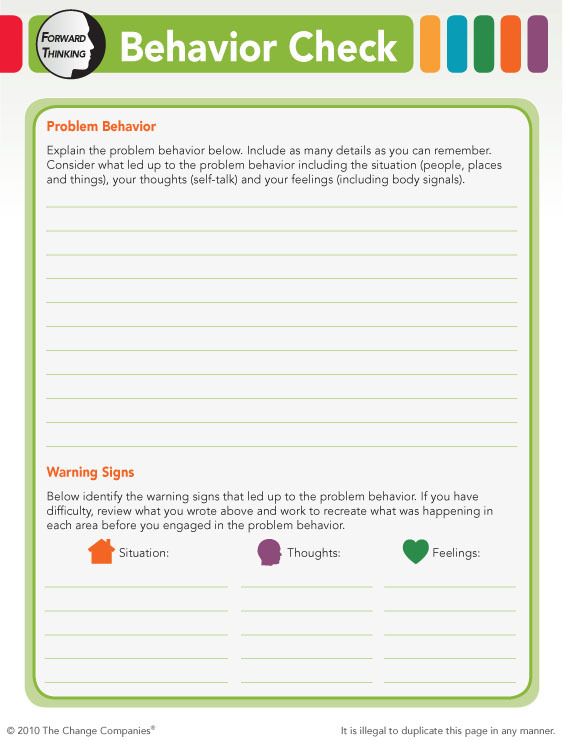 A Behavior Check is available as a tear-off pad for use throughout the Forward Thinking Series. 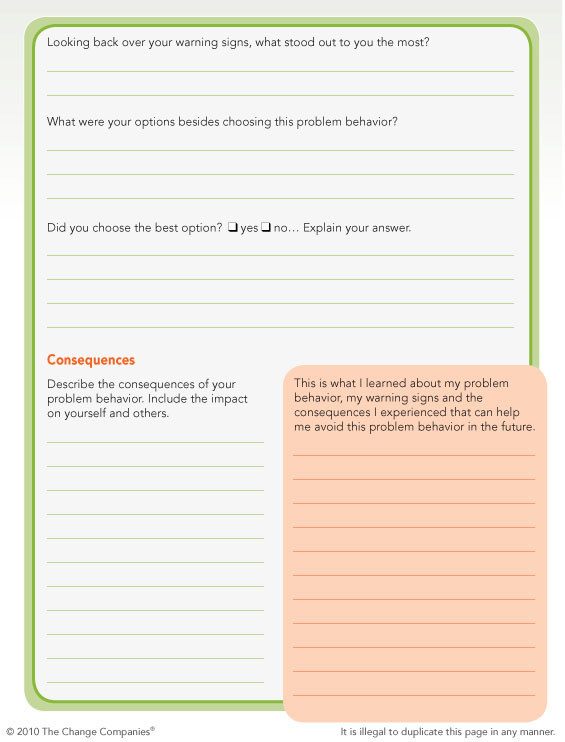 Participants analyze a problem behavior, including their available options and the resulting consequences, and consider how they can avoid problem behaviors in the future.